Anatolia Chief Public Prosecutor’s Office has issued detention warrants for 121 individuals who include administrators and members of the Kimse Yok Mu aid foundation in the latest wave of an ongoing witch-hunt against the faith-based Gülen movement. As part of the operation, which was based in İstanbul, police was conducting searches in dozens of locations across 18 provinces on Monday morning. 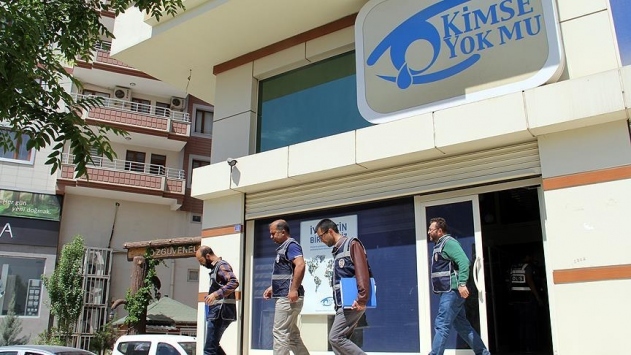 Kimse Yok Mu Foundation, which was closed down by a government decree in the aftermath of a failed coup attempt on July 15, used to function as the corporate body of aid and relief activities for the Gülen movement, taking relief to millions of people across Turkey and the world. Although the Gülen movement strongly denies having any role in the putsch, the government accuses it of having masterminded the foiled coup despite the lack of any tangible evidence. Turkish Islamic scholar Fethullah Gülen, who inspired the movement, called for an international investigation into the coup attempt, but President Erdoğan — calling the coup attempt “a gift from God” — and the government initiated a widespread purge aimed at cleansing sympathizers of the movement from within state institutions, dehumanizing its popular figures and putting them in custody.